I’ve written several times about not posting things—to this blog or as comments elsewhere—because I simply don’t want to engage. That’s not been the case for the past six months, however: I’ve been self-censoring. The campaign is now over, but I still find it difficult to say what I think. Partly that’s because it’s hard to shift from campaign mode back to real life (this is a big reason, actually). But it’s also true that much of what’s going on bores me silly. So far, I’ve found most of the post-election commentary about Labour’s loss to be extremely shallow, regardless of ideology. While those on the Left and the Right alike can sometimes make good points, with rare exceptions they contribute very little. The commentary coming from the Leftward side of the Left has been, more often than not, about point-scoring more than anything else, and also about pushing an ideological barrow—and on that point, they are exactly the same as commentators on the Right, including media commentators and NZ Herald editorials. Neither the Leftward side of Left nor the Right really give a crap about the Labour Party or its success as a party; rather, their self-serving advice is more about advancing whatever their favoured party is, and how Labour’s condition may help advance those other parties. Commentators who might be thought of as being in the centre, more or less, aren’t necessarily any better, more thoughtful or more useful. Instead, they just tend to be less strident, even when they, too, are pushing advice based on ideology. I don’t have a dog in this fight, as they say, and I’m not agonising about which “faction” takes control of the Parliamentary party. Of course I want Labour to win elections and lead Government. I also want it to do so without turning from its core values, but, unlike our friends on the Leftward side of Left, I don’t think Labour embracing what the majority of voters care about automatically means becoming “National Lite” OR abandoning core party values—or constituencies. So, I don’t have a favoured candidate for Leader of the party. I think that the choice, as well as the future direction of the party, will become more obvious after the independent review of the campaign is completed, hopefully by December. I can wait. With my self-censorship switch now turned off, I may yet add my own shallow commentary to the growing pile of posts about the defeat. But the reason I haven’t done so up until now is that, to put it simply, I didn’t want to say anything. Quite a few good things came from the recent election campaign (aside from, you know, losing, of course). One of the best things for me personally is also the most surprising: I lost weight. As I mentioned earlier this week, the last couple weeks in particular I didn’t eat well—too much fast food, and on a schedule that was a little erratic, too. I also said that “all the physical activity helped keep me from gaining any weight”. This week I found out I actually lost weight—even better! I’ve always weighed myself on Friday mornings. Last week, on the eve of Election Day, I’d held my weight steady from the week before, which I thought was great. When I weighed myself today, well after the end of the campaign, it was actually down, which is good news in itself, even better considering the odds it wouldn't be so, and fantastic because it’s the lowest yet since I began this particular “get healthier” journey. This all began, long-time readers may remember, with my tooth drama that started back in April (more about that in a minute). The advanced periodontitis I faced led me to see my doctor and that, in turn, has led to fitful attempts to lose weight and get healthier. It’s been very uneven progress, with steps forward and back in almost equal number. The campaign changed that. All the physical activity—delivering lots of flyers, waving signs and dealing with the big signs at the end of the campaign—made a difference, which just goes to prove yet again that small changes in the amount of physical activity can have pretty big benefits. Which, of course, I knew already. And ignored. As it happens, I went to the periodontist yesterday and had a few teeth re-treated. I won’t go back now for six months. All of which is an indicator of how well things went and how well I responded to the treatment. Yay, me, I guess. The trick now will be to keep this momentum going—to keep getting exercise (whether I want to or not…) and keep improving with the interdental brushing. Both are needed, and I find both challenging. Still, I’m pleased to have good news about the whole getting healthier thing, and it’ll encourage me to push on. I’m also pleased to see that the campaign had a measurably positive effect on me (aside from, you know, losing, of course). Getting just a little bit healthier is one good thing, at least, that the campaign gave me. I hate the sharemarket advertorials that TV3 and TVNZ both broadcast, unlabelled, as "news". They’re not news. At best, they're blather that few people listen to; at worst, they're propaganda promoting a very specific political viewpoint. Yesterday TV3 provided an example of the second. The italics in that transcript indicate verbal stress, but it was admittedly not as pronounced as it looks (watch it for yourself online; a commercial precedes the video and the segment begins about 22:30 or so). I include the emphasis because it provides a better idea of what I’m talking about: A one-eyed look at the situation. The guy provided NO context to the strike, and TV3 never even mentioned it in their real news. A viewer could easily think that it’s just “greedy unions” trying to get more money, the usual prejudice, but nothing could be further from the truth. In fact, workers are striking over safety issues: New Zealand Refining requires workers to work 12 hour shifts for 14 days in a row without a single day off! The union wants it limited to 7 days in a row—still longer than any worker I know would tolerate—but the refinery won’t budge. Also, the workers are willing to forgo a payrise to get improved conditions. If this context had been provided by TV3, its viewers would have had balanced information about the impending strike. I’m on the side of the workers—full disclosure and all that—but surely fair and balanced news coverage demands, well, being fair and balanced, doesn’t it? Why is it ever okay to present the viewpoint ONLY of “investors”? The larger issue here is the moral bankruptcy of the modern corporate paradigm, as I’ve talked about many times on this blog, in which the ONLY thing that matters is profit returned to shareholders; workers, the environment, suppliers, customers are all irrelevant if they reduce that profit. The lack of context or balance in these advertorials presents a totally one-sided view of issues affecting workers as well as businesses and that’s just plain wrong. These advertorials are so awful that I started turning to TV3 when TVNZ’s investor advertorial comes on their midday news, and plenty of times I forget to switch back. Other times, I’ve simply hit mute. I’ve only recently switched to 3 News at 6pm, largely because of the low standards for news on TV One generally. So I didn't know that 3 News also had one of these vapid advertorials. Maybe I’ll hit mute or turn the channel on them, too. I’m well aware that the reason TVNZ and TV3 do this is for the money: The segments are nothing more than commercials masquerading as news and of no value to viewers whatsoever. But when those ads are allowed to promote unchallenged a political view that is contestable, then something is seriously wrong with the practice. If I had my way, they’d drop the advertorials and have real journalists cover business issues like they used to do. That’s not going to happen, of course, so I’d settle for a prominent “ADVERTORIAL” banner on screen the entire time the segment airs. People have a right to know that they’re being fed marketing and propaganda, not news. There are many things that happen when an election campaign is over. When that campaign is the losing one, there’s a lot of angsty reading of entrails. I’m not going to do that. Too many others are, and it’s becoming mere noise. Of course it’s important to understand why the loss this weekend happened, but that’s best done over time as more information becomes available, and not when emotions are still high and reasoning ability is low. One of the worst things about all the grumpy finger pointing is that the hard work of volunteers is being swept aside. All across the country, Labour volunteers worked hard for victory: They had hundreds of thousands of interactions with voters, on the phone or in person. In fact, Labour volunteers contacted seven times as many people as were contacted in the 2011 campaign. They also delivered hundreds of thousands—probably millions—of pieces of campaign literature. Beyond all that, people were registered to vote and then helped to vote early. Then, on Election Day, we mobilised our voters (as best we could without illegal electioneering). I know all this because I was part of the campaign, and we did all of that stuff right here in this electorate. We were part of what was probably the biggest ground effort that Labour has ever mounted. There are those who will say, “Big Deal: You lost, so whatever you did wasn't enough and doesn’t matter.” They couldn’t be more wrong! Every new volunteer on the campaign learned skills that will be needed in the next campaign. So, we’ll start with experienced volunteers to which we can add new volunteers. That’s an important thing. Mostly, though, I think that with all the blaming going on, the folks who did their best—the volunteers—are being shoved aside. There ought to be some credit for the efforts of those dedicated volunteers who can’t be blamed for what the larger campaign did or didn’t do. 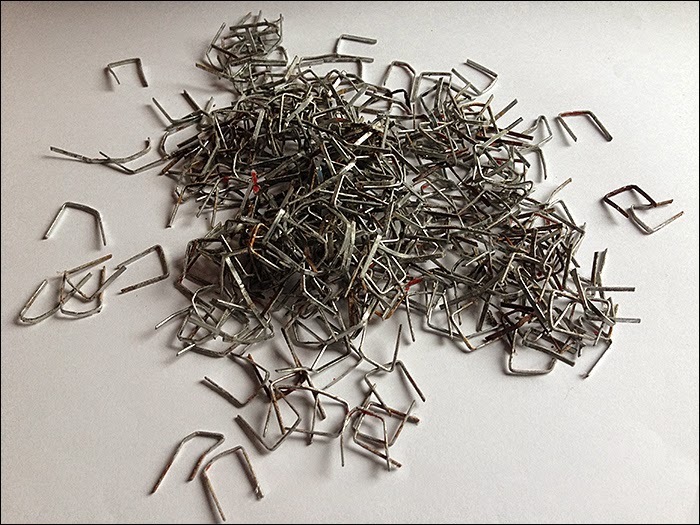 The photo above is of the pile of staples from the signs I removed from fences last Friday—another kind of campaign aftermath. The consensus among us volunteers was that Richard may have become a bit carried away with the staple gun. The staples will be recycled, though, so it’s all good. Actually, the signs I took down will be, too. And that’s all I’m going to say about this campaign for now. In the weeks and months ahead, when the data becomes complete and our understanding of it is clear, I’ll almost certainly have more to say. Right now, though, I don’t want to contribute to the noise, because that’s one campaign aftermath that I can certainly do without. Watching social media as I do, I saw our friends on the Leftward side of Left engaging in circular blame throwing over the election loss this past weekend. It reminded me of the scene above from Stephen Sondheim’s Into The Woods (of course it did: I have this version on both CD and DVD). Basically, to me it looked and felt like a lot of pointless pointing of finger in all directions, and this scene kind of summed up how it looked to me. 1. Campaigns are physical. I’m not fit at all (no, we’re not going to discuss that right now…), so it’s natural that I’d find some of the campaign work physically tiring. For example, there were four flyer deliveries during the regulated period, plus two before it. That means that on my route alone, I would have delivered approaching two thousand bits of paper, all on very hilly streets. Add to that the other delivery routes I did, taking down signs and even sign waving (standing around for a couple hours, arms raised), and soreness was common. So, I learned that next time I need to be in better shape before the campaign begins. I plan to be, anyway, but if my goals fall short, I need to go into training at least six months before the actual campaign begins. Bonus lesson: That same physical stuff that was so challenging at first became much easier by the end of the campaign. This time, the campaign itself became the condition training; next time, it’ll already be done. 2. Projects at home have to wait. Once a campaign gets busy, there’s little time for household projects. I learned that household projects really need to be finished before the campaign begins. That never occurred to me, but I’ll plan for that next time. 3. There aren’t a lot of red shirts for men. I went looking for red shirts I could wear while doing campaign things, but found that most men’s shirts were, at best, a sort of faded red (pinkish, even, or maybe salmon-coloured). I finally found long-sleeved red t-shirts, but the first time I wore one it was as a t-shirt and I looked like a cross between a giant tomato and the Red Wiggle; it was NOT flattering (and no photos were taken, thankfully). I later wore it like a jumper with a shirt with a collar underneath, and that toned it down a bit. Bonus: On cold mornings sign waving, that actually kept me pretty warm. In the final week, I found a red polo-type shirt with some thin, dark horizontal stripes. The red was nice, and the shirt actually suited me, so I bought a second one (handy, considering the lack of red shirts generally). I also bought similar ones that were mostly blue, even though I couldn’t wear them until after the election. After all, summer’s coming! I learned I’ll have to shop for red shirts much earlier, and it would help if I was thinner (see lesson one, above). 4. I need a red umbrella. All my umbrellas are blue, and not just ANY blue, but the same shade used by the National Party. That just wouldn’t do. At the very end of the campaign, I found a place that sold a red and white golf umbrella for $7.99 and another place that sold a solid red one for $34.99. Red and white sounds fine. I learned that I need to have that sort of thing organised well in advance. 6. Laughing is critical. I’m not serious about the other lessons (although they’re real). The most important lesson I learned (re-learned?) is the importance of laughter and not taking oneself too seriously. Being able to joke around helps reduce the stresses of campaign time, and that’s a very good thing. Yes, campaigns matter, and so do elections. But keeping our feet on the ground and never taking ourselves too seriously also matters. Here endeth the lessons for today. I’d like to comment on the election last night, but not right now. I don’t really understand what happened, how we could have lost or why it happened. There are numbers to be studied, conclusions to be drawn, but, mostly, distance to be achieved. The campaign left me physically and emotionally drained (I spent a lot of time asleep today…), so I’m just not up to doing the needed research, not right now. Still, today I started looking at results from previous years as a way of understanding voter behaviour, but there’s more data to come, and until it does, a complete understanding is impossible. I know this much right now: I have never been prouder to be a part of any campaign than the campaign we ran in Northcote. It was positive, it was relentlessly focused on policy, and it put people first. 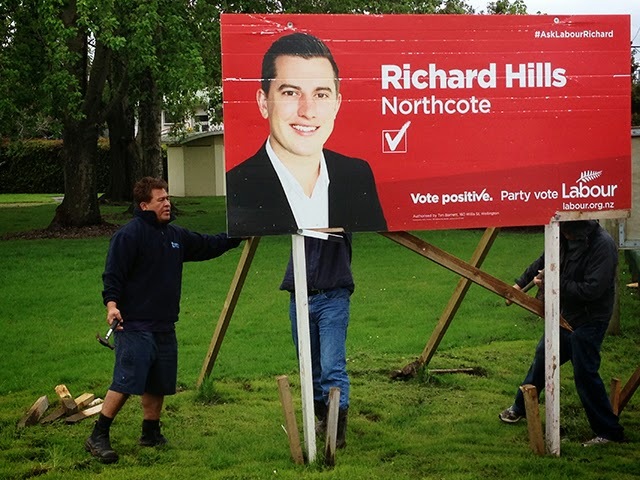 Richard Hills for Northcote was an inspiration as a candidate, someone who led by example, and his example got me to push past exhaustion because he'd pushed well past it himself. His approach was positive even before it was Labour's slogan, because it's who he is. I've never been prouder to work for a candidate. 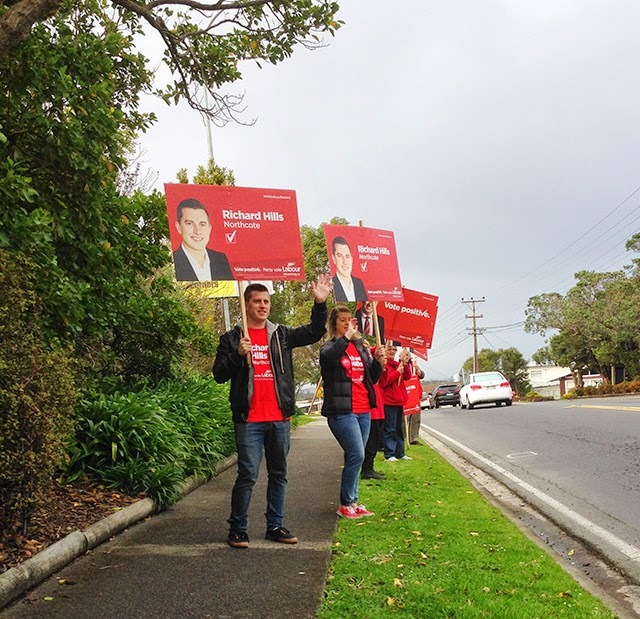 The team of volunteers we had for Labour in Northcote was outstanding! Each one brought unique skills and abilities that made us all stronger and better. We may not have won on the night, but they have strengthened us so that things will be very different in 2017. The work our team did this year, then, is building for the next election, and I'll be part of that. More than that, though, they became a sort of extended family. For now, I'll miss our frequent get togethers for a morning coffee on the campaign trail (though I WON'T miss the early morning starts for sign waving!). The 2017 campaign has already begun, though most people won't see anything of it until much closer to the time. 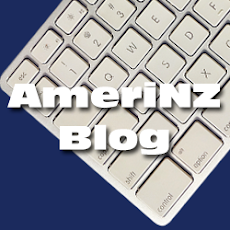 However, if *you* want to read about that, you'll have to check out my blog, because I'm done talking about NZ politics on Facebook (apart from the occasional mentions of the inevitable f-ups that John Key's government will make). Until the next election, that is that. And so it is. I’ll start talking about NZ politics on this blog again, but not right now. I need more time to reflect. MESSAGE TO YOU: I'm overwhelmed by the amazing messages – I feel like a winner being surrounded by such awesome people of all ages who really truly care our community, the future and care about me. Congrats to Jonathan Coleman & National. The voters have spoken. But I'm really concerned about those who didn't. One million people didn't vote again. Almost 20,000 didn't in Northcote. Politics has to change. We have to fight the issues, keep it positive, stay relevant and really engage with people. Massive change is needed in our democracy and our party. People are sad, distressed and disappointed but let's not blame voters, let's not blame each other. Let's keep working in all corners of the community. 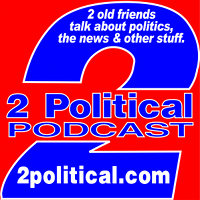 Politics is only one piece of the puzzle, it isn't everything. People matter most. But we are better unified. Look after your friends, families and neighbours no matter who they vote for or where they come from. If things get rough it's up to all of us to take responsibility for our communities & stand up for what's right. Congrats to my Labour friends who are now MPs, so sad for those who missed out. Thanks to my volunteers, my family, Leighton my partner, my friends & every voter who put their trust & faith in me. What an exhausting, bizarre and exciting ride, I'm proud of the positive campaign we ran in Northcote. The people I met, the laughs & hearing those tough, upsetting stories will keep me fighting for what's right forever. Massive love to you all. We'll all be back fighting for all New Zealanders, and the 2017 campaign has, in a sense, already begun. I'll have a lot to say about all that, just not right now. As I did in 2011, from which I mostly stole this post, I have temporarily turned on comment moderation for this blog. You can still leave a comment, but it won’t be posted until sometime after 7pm Saturday NZ Time (7AM Saturday UTC), after the polls have closed. I’m doing this to comply with New Zealand election law, which mandates that I turn off comments (even though the law was enacted in 1993…). I’ll update this post after I’ve re-enabled un-moderated comments. I also won't be commenting or replying on social media, either. Update 20/09/14: Now that polls have closed, comments are once again unmoderated and will post immediately. Thank you for your patience while I obeyed stupid rules for a dumb law. Today was the last day of the election campaign. 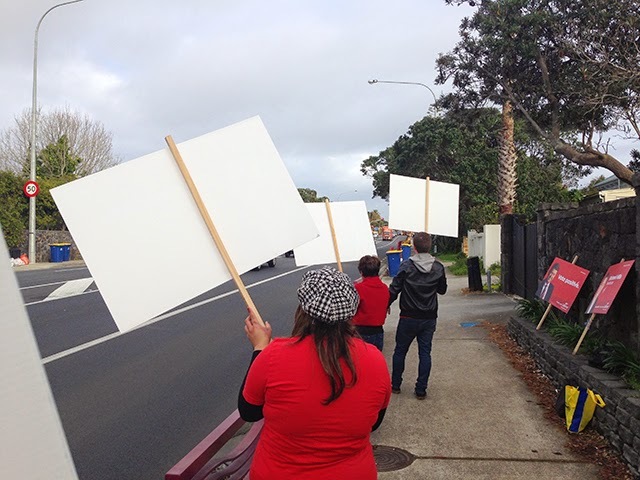 It began at 6:30am with more sign waving on Onewa Road, only this time we were joined by Labour Leader David Cunliffe. And it poured. 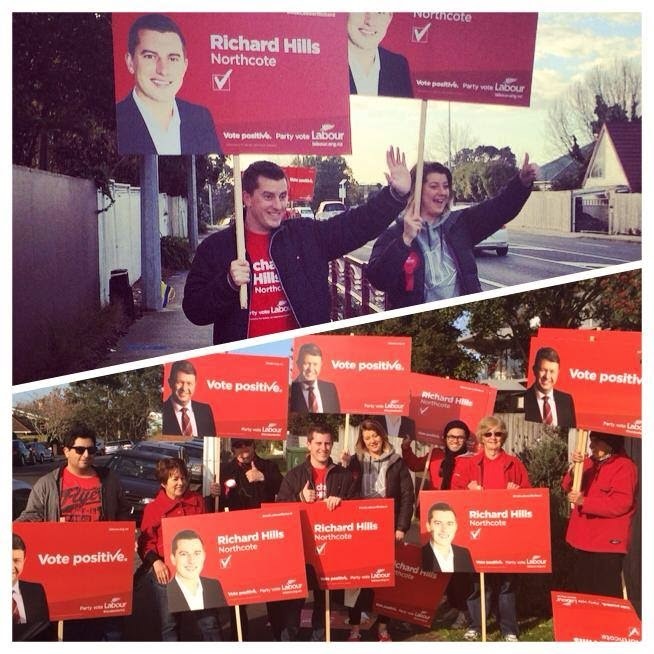 Later, I took part in the crowd of supporters campaigning in Birkenhead with Richard Hills and David Cunliffe. That was really fun, but David sure walks fast! This afternoon, I went to take down our campaign sings that were on fences. It wasn't nearly as hard as yesterday, fortunately. Naturally, I made sure that the very last sign I took down was one of Richard's. It just seemed appropriate. It turns out, there was actually one more "sign" to remove: My bumper sticker for Richard and the New Zealand Labour Party (photo above). My car is now sad. And that’s a good place to stop until the polls close tomorrow. If I’d thought about it, I could have done a “Campaign Diary” series of posts about this election or, more specifically, what I’ve been doing. Too late now: The polls close at 7pm Saturday, and I have to stop posting tomorrow night. We began with sign waving this morning. We decided to go somewhere completely different, so we went to Verrans Corner (photo above). I used to live on a street around the corner from this site, and I don’t recall ever seeing campaigns sign wave here. We got a HUGE amount of support! Lots of toots, waves and smiles, and even our opponents were polite (I only saw one person give us the finger, and no one yelled “F-you” like yesterday). In fact, one trucker yelled out “LABOUR!” as he drove past us and tooted the truck’s throaty horn. It made up for the uncouth guy from the day before. From there, it was off to start taking down our campaign signs (photo below). By law, ALL campaign signs must be down by midnight Friday/Saturday, and we wanted to get a head start, especially because weather predictions for tomorrow are truly awful. The team starting to take down a sign that's clearly seen better days. This evening I dragged my sore and weary body out to dinner with family to a place in Birkenhead. 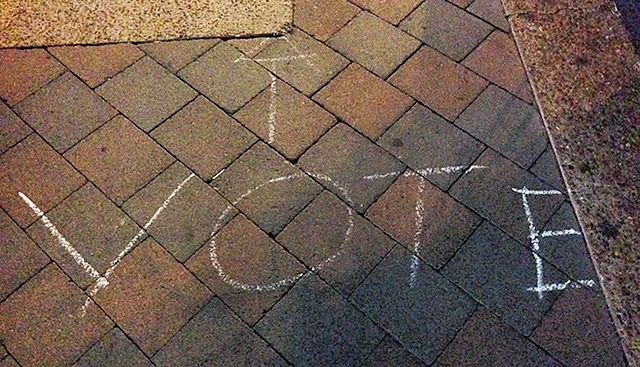 We saw that someone had written in chalk on the footpath (photo below), “VOTE” with an arrow pointing to the voting place at the nearby Rawene Centre. It was a nice way to end the evening. Someone scrawled this in chalk on a Birkenhead footpath. Tomorrow will be very busy, but I don’t know what, if anything, I can post before I start my Blog Blackout tomorrow night. Hopefully, I’ll at least be able to post some photos. Last week, I mentioned that I’d gone “sign waving” for the first time. It was one of those things I hadn’t done before, but have now done several times. It’s actually energising, even if it does have an odd name. What people really do is hold a sign and wave, but “holding a sign and waving” is a bit too long to say, really. Mind you, when my arms get tired, sometimes I really do “wave” my sign, by which I mean, make it “dance” a bit. Every day we’ve done it, we’ve had toots of support from passing cars and lots of waves and smiles. Sometimes shouts of support, too. We also sometimes get a thumbs down, but we just smile and wave all the more and they can’t help but laugh. Sadly, some people also give us the middle finger every now and then, but that’s pretty rare, fortunately—most people who are opposed to us are well-behaved. Today, however, in addition to a vigorously waved middle finger, we also got “F**k YOU!” yelled from a passing car. A real class act, that one—I'm sure his mother and grandmother would be SO proud. Like I said, though, most people behave decently, and the majority express support for us. The photo up top was from the sign waving yesterday morning (this time, I took it on my own phone). Maybe a half hour later, it started raining, then it started pouring, so we stopped early. We didn’t want any of our people getting sick so close to the election! I took the photo below on Monday, from where I was standing in the line. It’s sort of an—ahem!—behind the scenes photo. I forgot to take a photo today, partly because we battled rain today, too. Two more days of sign waving to go, then the election! A "behind the scenes" photo from Monday's sign waving. Tonight Nigel and I went to the Glenfield Night Market, which is one of several held throughout the Auckland region (and one in Hamilton). We’d never been before, but had heard how good the food was. We had a great time! The food was as good as promised, and there was good fresh produce for sale in some stalls, though we didn’t buy any this week. The atmosphere was really good, too, with all the diversity you’d expect from this part of Auckland’s North Shore. It was just another reminder of how great our community really is. While we were there, we saw the Labour team campaigning. 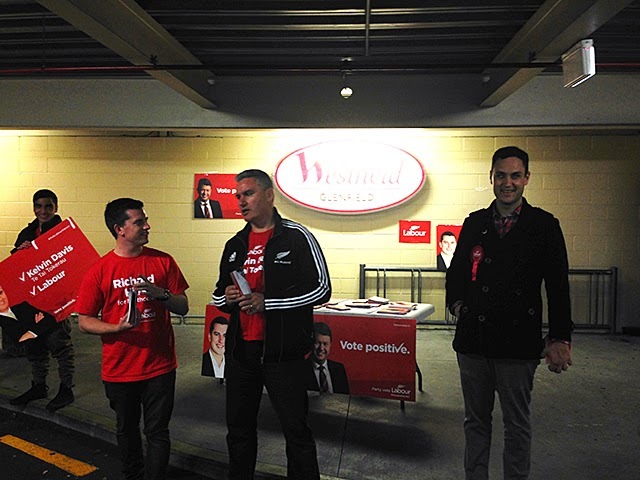 The photo above shows Labour candidates Richard Hills, Kelvin Davis and Shanan Halbert (didn’t get the name of the volunteer in the background). I saw the candidates having good chats with locals, and generally reinforcing Labour’s campaign. It was great to see. We also saw the National team moving through the crowd. Maybe it was just me, but they seemed a little out of place. There’s no reason why we’d never been to the Night Market before—we just never made it. But we’ll definitely be back! This month marks the 200th Anniversary of “The Star-Spangled Banner”, which became the USA’s national anthem in 1931. I learned quite young that the melody was “an English drinking song called ‘To Anacreon in Heaven’”, as I always put it, but I’d never actually heard the original version. The Chicago Tribune posted a story about the song’s origins, and they included the video above. Naturally, I had to share it. I always thought that maybe drinking would make it easier to sing that melody, and, while I haven’t actually tried that, I kind of doubt it. Still, it’s nice to have that picture completed. During this election, the only political things I’ve posted to this blog have been official campaign graphics or photos from the campaign. The only exceptions to that were illustrations to show what I was talking about. I made a deliberate choice to stay focused and not to adopt the negative partisan attacks of our opponents. But today, I needed to make an exception, since a little truth-telling was needed. The photos were exactly as shared—no cropping or manipulation—and I made no comment beyond adding the date of the visit and the weather conditions at the time. I felt people could draw their own conclusions from the photo (and, indeed, someone suggested that rainy days draw people to malls, sunny days do not; I don't think that was true in this case, but it shows that people could form their own viewpoint). The point is, National was trying to claim a lot of support support and I thought people should be able to judge that claim by comparing like with like, nothing more. As I suggested a moment ago, not everyone who saw it saw things the same way I did, which is fine. A little later, the National Party candidate also Tweeted a photo from the visit, adding, “the public response was pretty phenomenal!” The photo showed him alone, talking to no one as TV cameras pointed at John Key at the edge of the photo. There was a lot of empty space behind him, apart from some people from Young Nationals who were visiting the Shore to help with John Key’s campaign. Other photos they posted showed very few ordinary people with either one of them, certainly nothing like the photos of Labour’s visit yesterday. Despite being tempted to do so, I didn’t do another compare/contrast comparison of the candidates’ receptions, because I wasn’t out to embarrass or belittle National. Obviously, this is trivial stuff and none of it matters in the overall scheme of things. 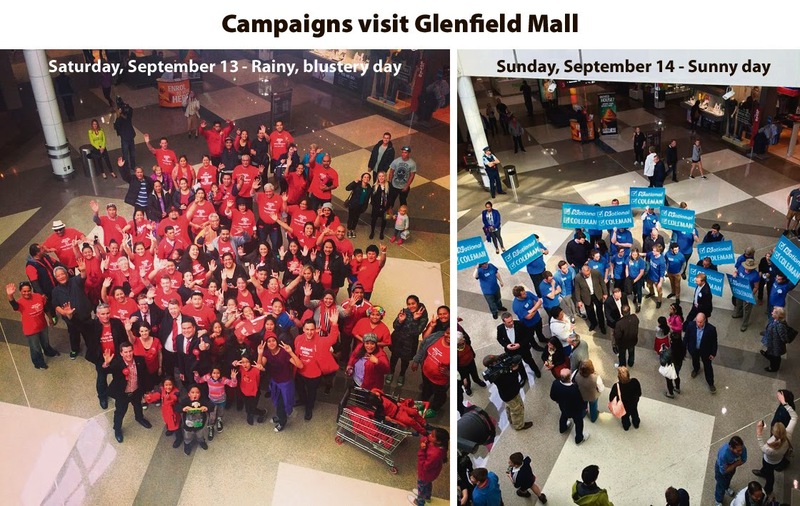 After all, there are many reasons why Labour had more support than National did, including the weather, the fact that Sunday is often a quiet day at Glenfield Mall, and, of course, the biggest reason, the fact that the mall is in a pretty red area, overall. The exercise wasn’t really about who had the bigger and more enthusiastic turnout at a local Mall, but that claiming a thing doesn’t make it true. For whatever reason, John Key and the National candidate in this electorate didn’t get as good a reception as Labour Leader David Cunliffe and the Labour candidates did the day before. I felt that people had a right to see the unvarnished truth to fairly judge what I felt was mere spin. I just wish the NZ news media were better about showing the reality about things that really matter. Voting is one of my most favourite things to do. And by voting, I mean getting out of the house and going to the Voting Place to cast my vote in person. This year was no different, even though I voted early—and yet, it was very different. In the car after I voted. Passenger's seat, btw. We voted last Saturday, so in some ways, it was like a normal Election Day (also held on a Saturday). Apart from being two weeks early, what made it different was that it was at a place we wouldn’t normally vote (there are only a few places to cast a Early Votes, and fewer still on Saturdays), and Nigel and I went with his sister, her daughter and her daughter’s boyfriend (who hadn’t voted before). We’ve never voted as a whānau before, and it was fun to do that. Here’s the thing: While these days I’m a big ol’ softie, and even TV commercials can make me tear up, voting has always—ALWAYS—done that to me. I go, get my ballot paper, head to the booth and I look at the paper in front of me. I know that my vote is worth exactly the same as everyone else’s. The richest man in New Zealand, the anti-gay bigot, the racist, the kindly little old lady who does baking for the local school’s cake stall, the friendly local shop owner—we’re all equal in the voting booth. So I pause and take it all in, the feeling of power, being able to help choose who will form government, and I know that the fate of every single politician on that ballot paper rests on me and thousands like me. And then, I make my marks. And my eyes tear up at the enormity of it all. This year was different. I saw the name of my friend, Richard Hills, someone for whom I have enormous respect and admiration, since he’s one of the most genuine and positive people I’ve ever known. Those traits are rare enough in people generally, and almost unheard of among politicians. So this year, I was handed my ballot paper, I glanced at it, saw Richard's name, and teared up even before I got to the booth. That seldom happens to me. 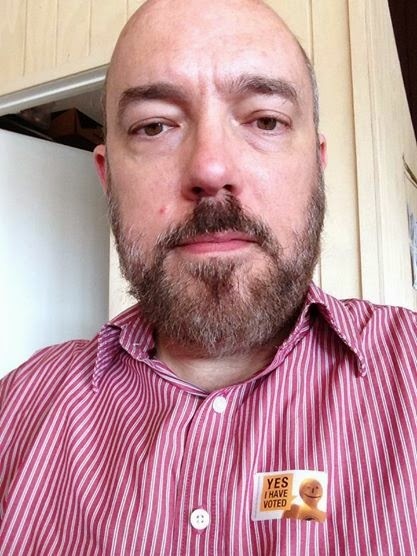 I was proud to vote for Richard—damn proud, to be honest—and also to give my Party Vote to the New Zealand Labour Party. It felt great to have had such certainty long before I got to vote, and it felt truly awesome to feel proud of my vote. I’ve been voting for 37 years, so there have been plenty of times that wasn’t the case. This year, I really did Vote Positive! I have to admit, it’s one of those (very!) rare Tweets that made me tear up a bit, because how awesome is that?! 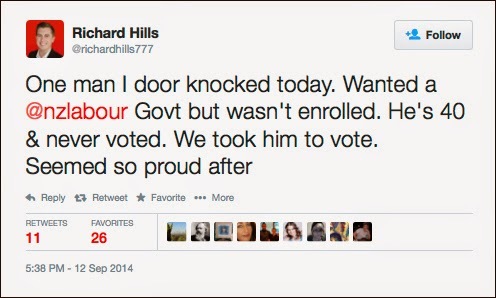 A man who never voted before, but he really, really wanted to vote for Labour and Richard, and Richard was able to make that happen. Outstanding! I believe that everyone who can vote, should vote, but I don’t judge people who don’t vote. I can’t know what’s going on in their lives, and for those who don’t vote because they simply don’t care, well, quite frankly, that’s their choice that they have to live with. I’m counted, regardless. I’ve seen a few people commenting on social media that they don’t like Early Voting because they see Election Day as a kind of tribal thing. I get that, but I think we have to be realistic: People have a lot going on in their lives, and our goal ought to be to make it as easy to vote as possible. Like I said, I had the same experience in voting early as I would have on Election Day (though, without the stress, because I knew the results were two weeks away). My early voting, then, was the same sort of ritual as it’s always been, just earlier. I’m not opposed to online voting, though I’m a bit dubious about whether it will actually increase turnout. We do postal voting for local government elections, and the “turnout” is shockingly low. Also, I don’t get the same emotional rush from marking a postal ballot as I do one at the voting place. I’m sure online voting would leave me similarly cold. But it’s not about me, it’s about making it as easy as possible for the people to vote (if they want to). I’ll adapt. So, this year was really special, more so than usual. A week later, I still feel that pride and satisfaction from voting. It’s one of my most favourite things to do, after all. On September 12, 1995—19 years ago today—I arrived in New Zealand as a tourist and met Nigel in real life for the first time. Everything in my life changed that day—and how many of us can point to the one day where our lives utterly changed? 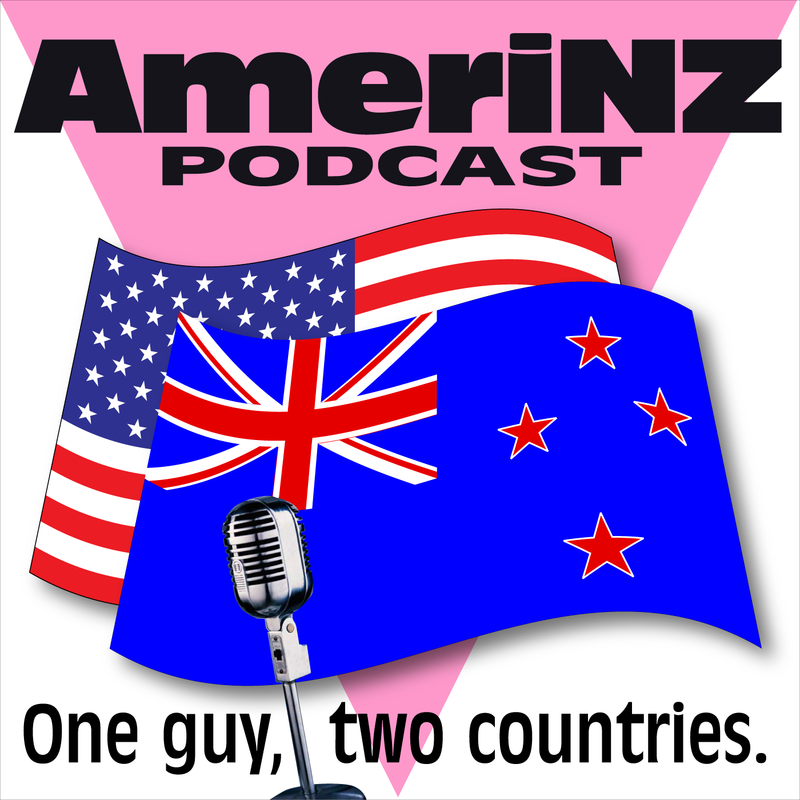 Today begins what I jokingly call the “Season of Anniversaries”, a series of commemorations of events that have marked the progress of my life in New Zealand. It’s turned out to have been a very good life, indeed—a great life, in fact. Becoming an expat isn’t for everyone, of course, but things worked out for me, and I’ve never been happier. My advice is to never be afraid to embrace where life is leading you: You may be both astonished and deliriously happy if you do. That possibility is worth all the risks. It may be hard to believe, but there are plenty of things in politics I haven’t experienced. This year, however, thanks to the Labour campaign, I’ve checked off a whole bunch of things from that list. Back in July, for example, I attend the first Public Meeting I’d ever been to. The month before, I was at the party’s List Conference for our region, something else I’d never done. In the past couple weeks, I’ve extended those “firsts”. Selfie at lunch, after I voted. On Monday, I went to a candidate debate in Glenfield. That was an interesting experience. I was really sick with a bad cold and had a headache, too. But I was absolutely appalled at the behaviour of National Party candidate Jonathan Coleman, who was belligerent, argumentative and downright rude. I’d never seen him in public before, though, and I was sick, so I thought maybe I just wasn’t seeing things right. On Saturday, September 6, I voted early for the first time ever. I’ve always voted on Election Day, but this year any voter can vote early and they don’t need a reason. So, Nigel and I got a few family members together with us and we all went and voted—five votes, all up. Then, the following Monday, I went to another candidate meeting, and Coleman wasn’t as bad—he was far worse! He didn’t just argue with the audience, he also heckled his fellow candidates, Labour’s Richard Hills in particular. I was disgusted at how boorish Coleman was. 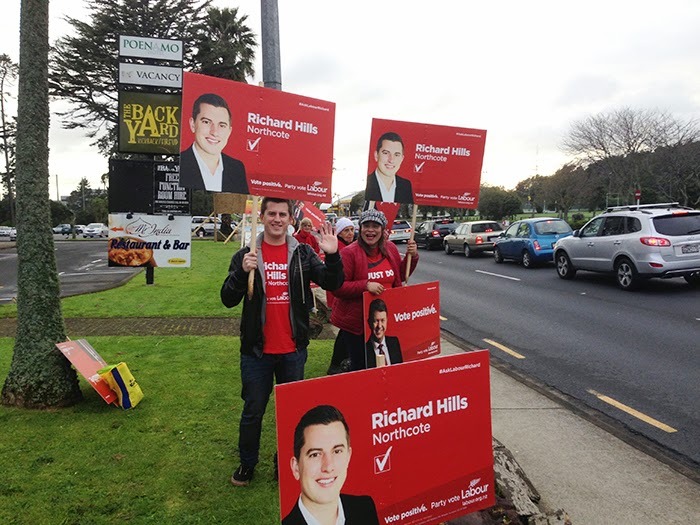 The very next day, I went sign waving for Richard Hills and Labour—the first time I’ve ever done that in any country. Basically, that means we hold campaign signs and wave at passing cars. It was surprisingly fun! We had a LOT of friendly toots and waves from people in passing cars, and only a few thumbs down (we just smiled and waved all the more, which made them smile, too). I’ll let you in on a campaign secret: I took the photos that Richard posted to his campaign Facebook Page (at left). Since then, I’ve gone sign waving again, delivered more campaign literature and took care of other behind the scenes campaign stuff. It was a good week. I’m not sure that there are any more firsts left for this campaign, but there’s a lot of work yet to be done. I’m sure I’ll have more to say before I suspend all blog activity on Friday evening, one week from today. This past month or so has been trying. The thing about it is, though, I don’t really have anything to complain about, which is why I haven’t said anything up until now. But it’s also the reason I haven’t blogged for the past week, and kind of sporadically before that. Last week, I came down with another bad cold, only about five weeks after the first one. I hardly ever get sick, even with a cold, so getting two in, basically, a month is a pretty big deal for me. On the plus side, it passed faster than the first one did. But it couldn’t possibly have come at a worse time. I was swamped with work, which I found very difficult to do when I felt so awful. I also had campaign stuff to do, but had even less energy for that. Still, I went to a candidate debate and an organising meeting (I was out two evenings in a row). This week it’s been about the campaign (apart from Monday, on which I was a total washout). Today I even finally had time to catch up on some household chores that were neglected over the past couple (busy!) weeks. There’s so much to do over the coming week, but I at least have the sense that it can all get done, something I wasn’t so sure of at this point a week ago. Still, perseverance is a strategy, I suppose, and it did work. All that left me feeling profoundly tired—exhausted, even. I can’t seem to get enough sleep, no matter how many hours I get. That tiredness makes my already dodgy memory even more unreliable, which certainly hasn’t helped matters any. But the thing about it is, none of that is worth complaining about, especially since I did get everything done, recovered from that bad cold, and survived to tell the tale. Other folks—candidates in particular—have far more on their plates than I had this past couple weeks. By comparison, at least, I had it easier. Now, the point is to be ready for the next week—get enough sleep, eat sensibly, correctly prioritise what I need to do, and work the plan. Then, on September 21, I can totally relax. And I will. I may even resume blogging more regularly. In the 2012 US elections, I frequently wrote about Democrats being Democrats. The commercial above shows it’s still alive: Brad Schneider, US Representative for Illinois’ 10th District, talks about Democratic values and I think that’s a good thing. Some of the sites where I’ve seen this video shared have focused only on the marriage equality endorsement, but that’s settled law in Illinois, so that was really a brief nod to expanding US policy. Of greater concern to me was Brad’s commitment to women’s rights and focusing on the middle class, not the richest of the rich as his Republican opponent will have to do according to party policy. In short, Brad Schneider is a Democrat being a Democrat. That, to me, is always a good thing. 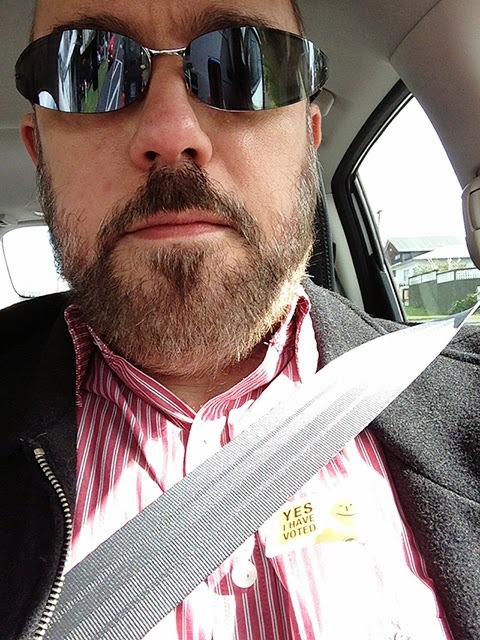 Voting in New Zealand’s General Election began today, with the start of the Advance Voting period. It runs until Friday, September 19. Election Day itself is Saturday, September 20. The video above from the Electoral Commission promotes early voting. It says: “if, for any reason, you can’t make it on Election Day, no worries—you can vote now!” What it doesn’t say is that this is the first year voters haven’t needed a reason for voting early. The Electoral Commission projects about 20% of voters will cast their votes during this period. However, parties are promoting early voting, and several politicians voted today (not mentioned in the linked article, Greens Co-Leader Metiria Turei also voted today). So, I wouldn’t be at all surprised if more than 20% vote in the advance vote period. This is part of attempts to increase voting rates, which have been slipping over the past several elections. The hope is that by making it easier to vote, more people will do so. An online voting pilot project is also to be trialled in a few years. I think that anything that helps to make it easier for people to vote is a good thing. I hope a lot of people take advantage of the ability to vote early, I know that I will. Information on where to vote early is on the Elections NZ website. My post on Electoral Commission ads to get people to vote.